I returned from a preaching trip to the USA last Tuesday night and, after a day of rest, I was greeted with the news of the death of one of our missionaries, Pastor Percy Chisenga, around 04.30 hours on Thursday morning. I had left him very sick and had kept enquiring about his health while I was away. It had been my hope that once I was back and rested I would visit him and know how he was doing, but God had other plans—he took him away. His funeral service took place at Kabwata Baptist Church on Saturday, 3rd March 2012. Percy was converted while studying electronics in Great Britain in 1972. He came across a book by Pat Boone, whose music he loved. 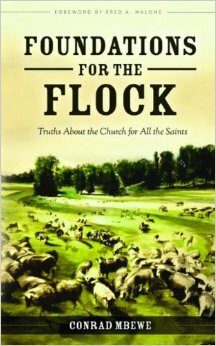 However, the book was about how God in Christ had saved Pat and restored his broken marriage. This shook Percy to the core of his being and caused him to get a Bible and start reading it. He literally read it from cover to cover and in the process came under deep conviction of sin. This went on until the very last day of that year when he knelt down in his college room and gave his life to Christ. He was baptised on March 25, 1973, at Gipsy Road Baptist Church, West Norwood, London. Percy trained in electronics and worked for the Zambian police until 1986. 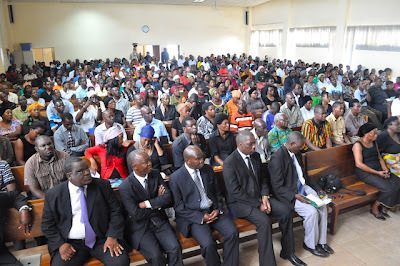 He then became a college lecturer in the same field until 1989 when he became a missionary pastor. 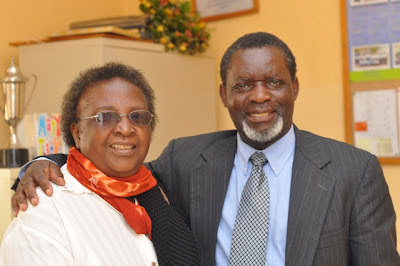 He had been involved in planting three churches—one after another—in Kasama from 1981 to 1986 (while he was in secular employment), in Chipata from 1989 to 2002 (where he was a fulltime missionary pastor of the Lusaka Baptist Church), and more recently in Zomba, Malawi, from 2007 (under the oversight of Kabwata Baptist Church). Percy was ordained as a missionary pastor of Kabwata Baptist Church in August 2008. 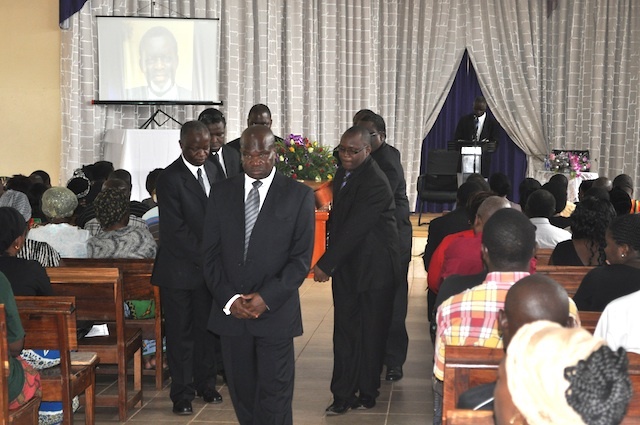 His task was that of establishing Grace Baptist Church in Zomba, Malawi. This was at the invitation of an American missionary, Frank Maxson, who had already been labouring there for a few years. However, it soon became evident that he needed our oversight and support. That is how we got involved in the work in Malawi. 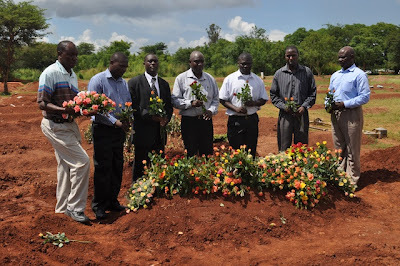 Percy laboured faithfully in Zomba, together with his wife Betty, until his demise. His last year was spent valiantly battling cancer. Despite the help of doctors, the care of his wife and family, and the prayers of God’s people, the battle was lost. God used this to bring his servant to his eternal reward. Those who testified about Percy’s life as a Christian spoke of three virtues that made him stand out head-and-shoulders above other Christians. Firstly, he was a man of unfeigned humility. He handled the most menial work among God’s people even when he was a pastor. Secondly, he was a man of inexhaustible patience. Where many would have given up on others, he would still give them chance to grow and mature. Thirdly, he was a man of persevering endurance. 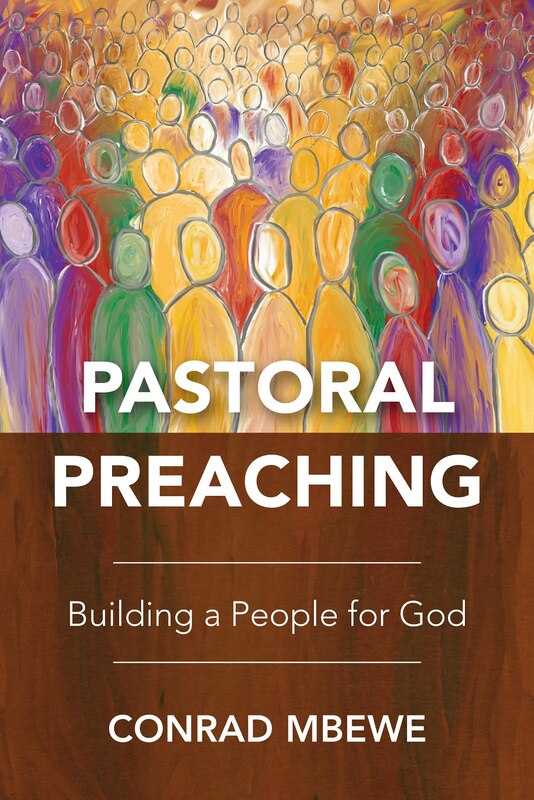 He worked with joy in the most difficult situations in his church-planting work. Please pray for the fledgling Grace Baptist Church in Zomba, Malawi, that the leaders Percy was grooming would rise to the occasion and take the church forward. Frank Maxson moved to Blantyre to start another church there, but the two continued to work very closely together. 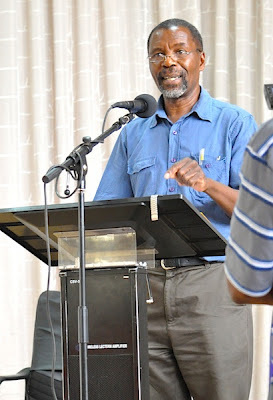 Pray that he may be able to help in Zomba until a new man is found to fill the void that Pastor Chisenga left. Pray also for Percy’s wife, Betty, as she now faces the future without a husband she had lived with for most of her adult life. Although all of their children are now grown up, for a number of reasons two of them were still financially dependent on their father before he died. That task is now left in the hands of Betty. KBC will be looking for resources to ensure that she is well looked after until she joins her husband in the world to come. 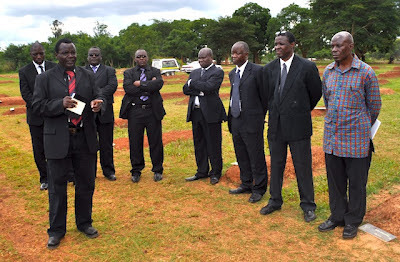 It is really sad to learn of the passing on of Pastor Percy Chisenga. It is also very sad to think of Auntie Betty’s life without the husband for they were such good friends even in their old age. I lived to see their friendship for myself when I stayed with them some years back. May the Lord be her strength and comfort. 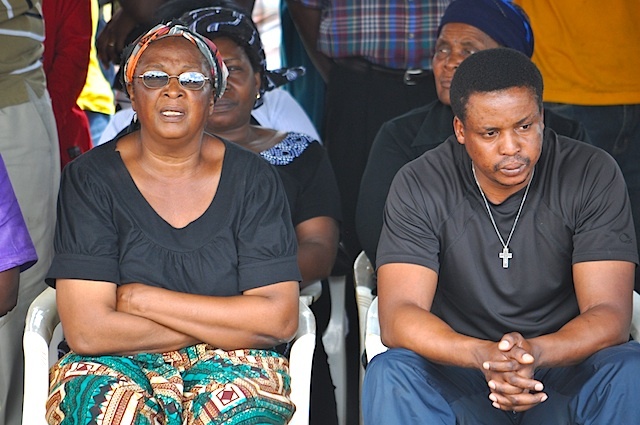 May His comfort extend to Reuben, Rachael, Ruth and Raphael the children he has left behind. May the Lord of the harvest remember the mission work left behind and send labourers to carry on with His work. I got to know the Chisenga family at a close range in the year 2000 when I “invited myself” to their home when my then employers sent me for work in their town, Chipata. I hardly knew them except for Pastor Chisenga and also merely from the pulpit of my then church, Lusaka Baptist, where he came to preach from time to time. When duty called for me to lead a team of land surveyors charged with the task of demarcating the first 600 km of the Zambia-Malawi boundary, I requested if I could stay in their home for the three week project which turned into three months! It was my custom in those field work days to link up with believers and lodge in their homes, rather than stay in guest houses, in whichever town work led me to. This was a way of safeguarding myself from temptations and providing my soul with the much needed fellowship away from my spiritual home. The three-week turned three-month stay in their home, to me, left a deep impression of their hospitality as they never seemed to have been bothered by my “indefinite” stay. Instead of complaining that I had stayed too long, they let me enjoy what seemed to me like the full rights of sonship in the home. 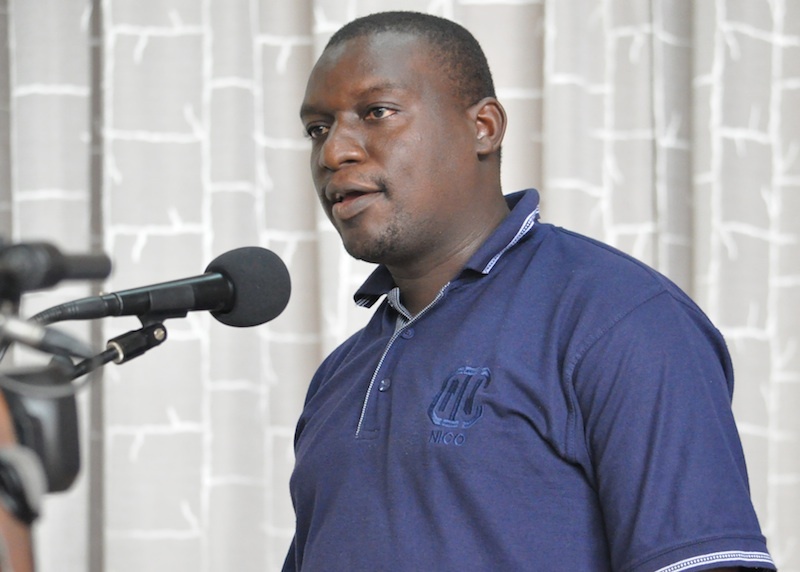 I did not know that Pastor Chisenga had an Electronics Engineering background until I and my team mates were in a crisis arising from the breaking of what I came to know as a coaxial cable of our Global Positioning System (GPS) equipment. When the cable broke, we never imagined how in the world such a complex cable could be repaired in the relatively rural town we were in and our Malawian counterparts were counting on us. Time on the other hand was not with us. When I shared my problem with Pastor Chisenga at the end of the day during family time, he began putting together some tools which included a soldering gun and fixed the cable and tested it in no time! What a relief it was for us who were over 500 km away from the nearest known help. I had always wondered why the Lord Jesus in John 1:1 is referred to as the Word until I heard a sermon by Pastor Chisenga during my stay in Chipata in which he shed such light on my understanding of that verse that it has left a deep impression on my mind and for which I will live to remember him. He began by saying that words are the outward expression of someone’s inner being. If you would know someone’s inner being listen to them. Now referring to the “Word” in John 1:1, who is the Lord Jesus, he said that the Word is the outward expression of God’s inner being, meaning Jesus is the outward expression of God’s inner being. If you would know God, listen to and acquaint yourself with Jesus. The passing on of Pastor Chisenga is a sad loss to all of us - but it must be more to his wife Betty, his immediate family; as well as you, with other elders who have lost a fellow labourer, a friend and brother. Celestina, thanks for this feedback. You are right. We are smarting under the rod of God. Yet, we know that it is a hand of love that holds the rod. Because of that we are comforted in our affliction. I look forward to hearing your further thoughts on this matter. When duty called for me to lead a team of land surveyors charged with the task of demarcating the first 600 km of the Zambia-Malawi boundary, I requested if I could stay in the Chisenga’s home for the three week project which turned into three months! It was my custom in those field work days to link up with believers and lodge in their homes, rather than stay in guest houses, in whichever town work led me to. This was a way of safeguarding myself from temptations and providing my soul with the much needed fellowship away from my spiritual home. 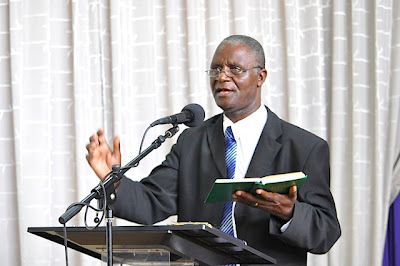 I had always wondered why the Lord Jesus in John 1:1 is referred to as the Word until I heard a sermon by Pastor Chisenga, at Calvary Baptist, during my stay in Chipata. In his sermon he shed such light on my understanding of that verse that it has left a profound effect on my mind and for which I will live to remember him. He began by saying that words were the outward expression of someone’s inner being. If you would know someone’s inner being listen to them. Now referring to the “Word” in John 1:1, who is the Lord Jesus, he said that the Word is the outward expression of God’s inner being, meaning Jesus is the outward expression of God’s inner being. If you would know God, listen to and acquaint yourself with Jesus. Levi, thanks for this side-light into Percy's life.it Is my intention to do a short biography of ba Percy in time for his memorial (a year from now). Hence, this kind of input will prove invaluable. I think that his hard work, faithfulness, selflessness, humility, doctrinal clarity, etc., needs to be kept before the eyes of this and future generations. 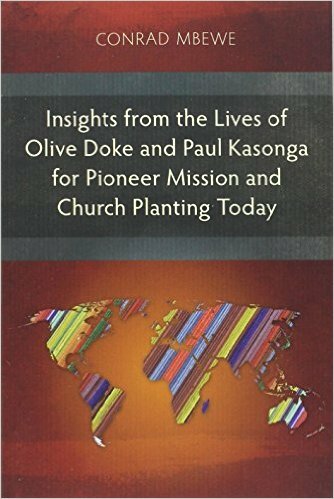 Who knows, God may use it to challenge the Zambian professionals who are Christians to answer his call and go into the mission field to extend his kingdom--whatever the cost. What an example we have in Percy! By the grace of God, i happen to be one of those who have been touched by the humility, faithfulness and perseverance of Pastor Chisenga. Him and Mama Chisenga visited my family on their way to a funeral of a relative in Zambia, they had to be at the border as early as possible, we drove that night from Lilongwe to Mchinji, i will never forget the time we spent together that night. He has been an encouragement to me as we strive to have a Solid Biblical reformed Church In Lilongwe, i was looking forward to present to him what we have done so far when he came back from Zambia. God alone, has seen it fit to take Him Home, glory be to His name, It was very encouraging to see a fellow African preaching the truth in such a way that is clear, we in Lilongwe will continue to pray and work hard that a church is established for God's own glory, what a Man of God!